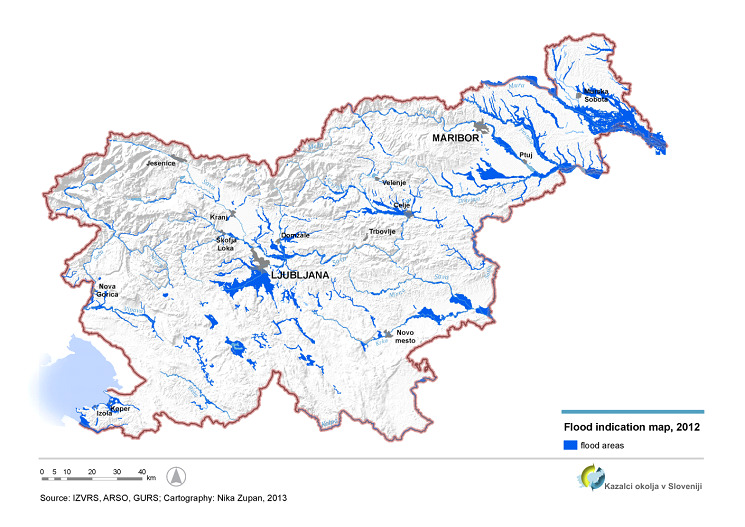 In Slovenia 7 % of people live in flood-prone areas. 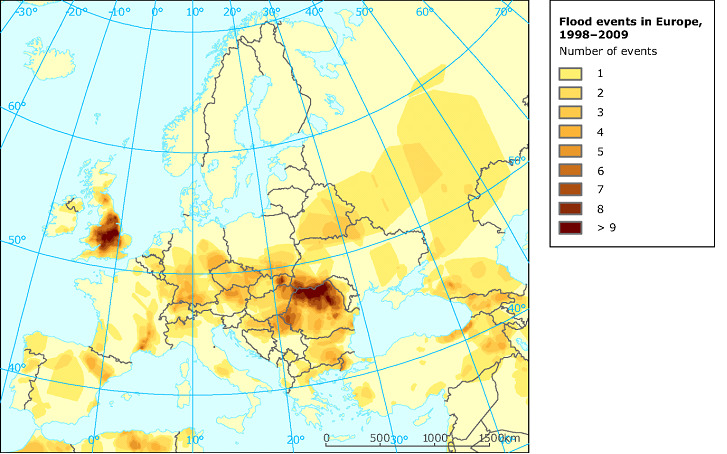 The most extensive flood areas are in northeast and in subpannonian Slovenia, in subalpine valleys and basins and plains along Ledava, Mura and Ščavnica. 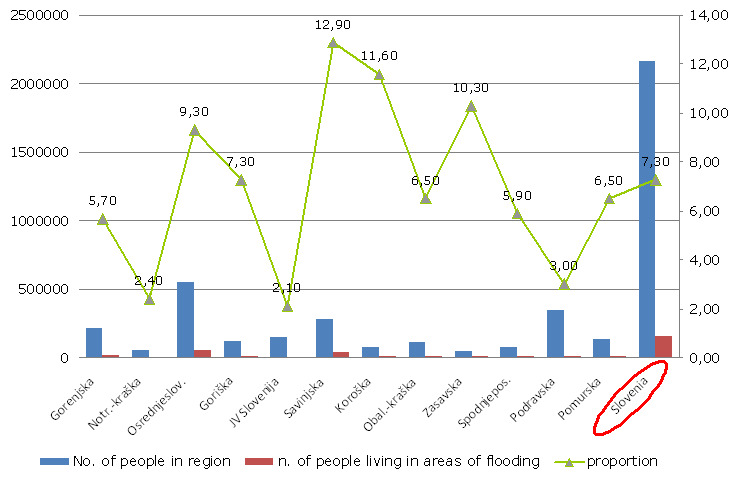 The largest share of the population in areas of flooding is in Savinjska (13%), Koroška (12%), Zasavska, (10%) and Osrednjeslovenska (9%) statistical region. Institute for Water of the RS, 2012. Institute for Water of the RS,2012. Author(s): Ivanka Gale, dr.med., spec. higiene, National Institute of Public Health ; Katarina Bitenc, univ. dipl. soc.,National Institute of Public Health ; Blažo Đurović, Institute for Water of RS.